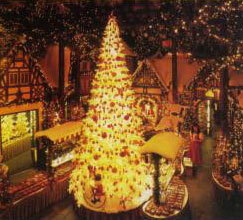 Germany's Christmas Markets 9 days escorted tour. Christmas is the prettiest time of the year in Germany and France – delightful festoons line the streets and shops, mountains are covered with snow, and the atmosphere bristles with cheerfulness. Experience French and German Christmas traditions in the renowned markets of Strasbourg and Nuremburg, enjoy a canal cruise in scenic “La Petite France” and a drive through the Black Forest. Sightseeing with a local guide in Strasbourg plus a canal cruise. Visit the inner courtyards of Heidelberg Castle and the Great Vat.